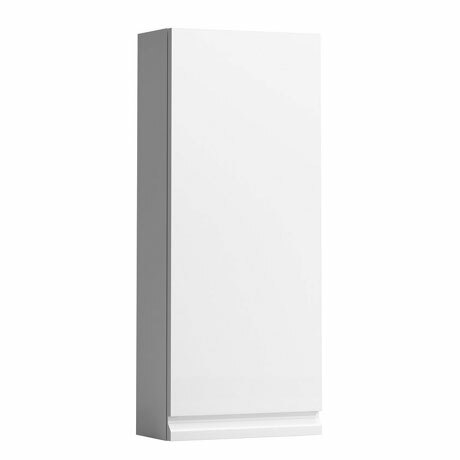 This attractive 850mm Small Cabinet is available in a Gloss White or Graphite finish. Designed to be wall hung the unit has an integrated handle in the front of the soft closing door and inside the unit are 2 adjustable glass shelves. A right hand hinge opening is also available. All Laufen furniture is guaranteed 2 years.